2 5/8" x 1" Glossy adhesive labels with rounded corners. 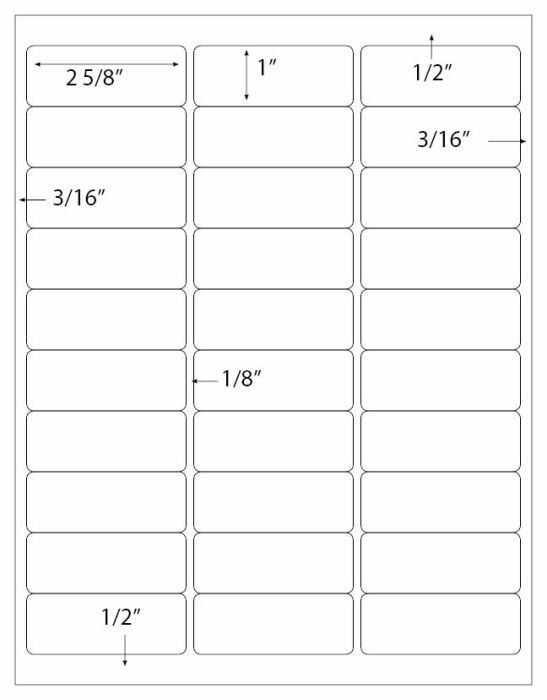 Thirty labels per 8 1/2" x 11" sheet. They match the 30 up sheet templates found in most popular software. They work well with laser printers, not for inkjet printers. Free .ai and .pdf templates. Compare these Professional label brand labels to Avery 5260 labels.